So Peppy babe, when are we getting a black OSU! tablet? · forums · community | osu! So Peppy babe, when are we getting a black OSU! tablet? It looks meh in the image but I'm sure you guys at the super secret OSU! 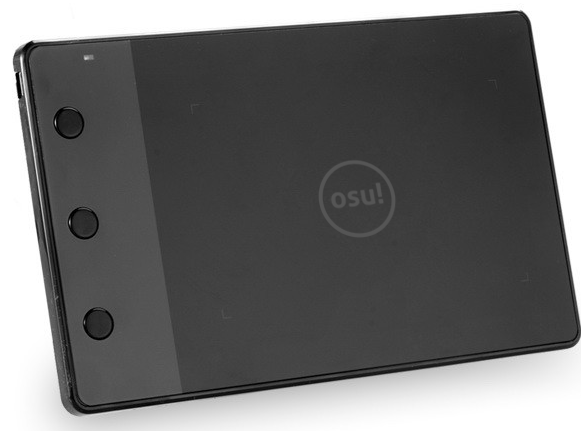 headquarters can come up with an epic black tablet with the OSU! logo. Black Osu! Tablet? Heck I'd just like /any/ Osu! Tablet, but they're Out of stock Q.Q Any clue as to how often they're restocked? The stock is pretty free flowing at the moment. It's out of stock at the moment but two days ago I checked and Peppy said he'd got finished selling a huge order so I guess we've just gotta wait for another stock load. "I’m considering switching from white to black for osu! tablets, going for a more professional look with the next order. It would end up looking something like this(likely with a more elaborate design). Also looking at including rechargeable higher-quality pens as default." Aiming for the big leagues one rank at a time. Last edited by Diony March 30, 2016 at 9:11:28 PM GMT , edited 1 times in total. Last edited by nibs December 2, 2016 at 4:08:23 AM GMT , edited 1 times in total. You're spot on. I didn't request it though when it was photo shopped. I just said make the white part black. Maybe instead of pink maybe it grey or white or blue or something?